When children come together in a dramatic play experience, they have to agree on a topic (basically what “show” they will perform), negotiate roles, and cooperate to bring it all together. And by recreating some of the life experiences they actually face, they learn how to cope with any fears and worries that may accompany these experiences. Children who participate in dramatic play experiences are better able to show empathy for others because they have “tried out” being that someone else for a while. They also develop the skills they need to cooperate with their peers, learn to control their impulses, and tend to be less aggressive than children who do not engage in this type of play. Dramatic play helps children develop both gross and fine motor skills – fire fighters climb and parents dress their babies. And when children put their materials away, they practice eye-hand coordination and visual discrimination. When children are involved in make-believe play, they make use of pictures they have created in their minds to recreate past experiences, which is a form of abstract thinking. Setting a table for a meal, counting out change as a cashier, dialing a telephone, and setting the clock promote the use of math skills. By adding such things as magazines, road signs, food boxes and cans, paper and pencils to the materials included in the area, we help children develop literacy skills. When children come together in this form of play, they also learn how to share ideas, and solve problems together. In order to work together in a dramatic play situation, children learn to use language to explain what they are doing. They learn to ask and answer questions and the words they use fit whatever role they are playing. Personal vocabularies grow as they begin to use new words appropriately, and the importance of reading and writing skills in everyday life becomes apparent by their use of literacy materials that fill the area. Dramatic play engages children in both life and learning. Its’ real value lies in the fact that it increases their understanding of the world they live in, while it works to develop personal skills that will help them meet with success throughout their lives. The Power of Play: It’s Good for Parents Too! 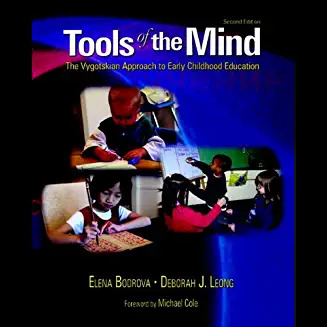 When we first heard about Tools of the Mind, the reports about the program for early childhood education were very positive and extremely encouraging. 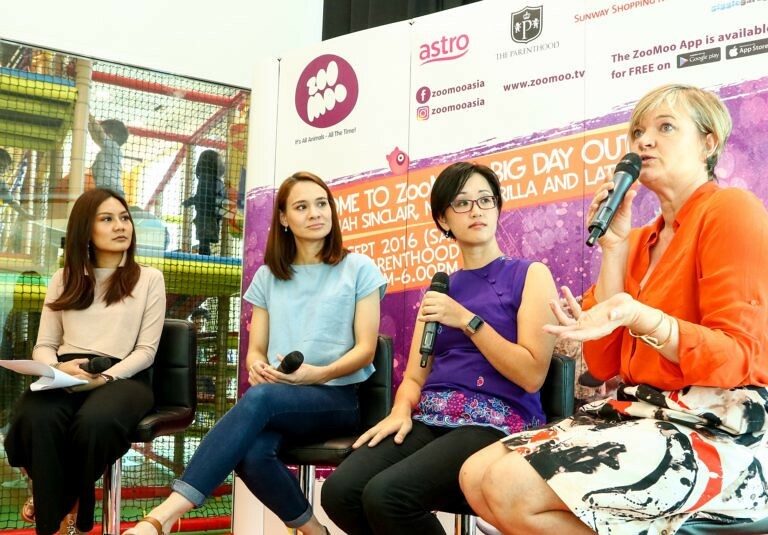 The concept of providing young children with mind tools that help them control their emotions and impulses made a lot of sense especially in an age that encourages the development of short attention spans and impulsive behaviours with information and sensory overload. Back in the day when we were kids, we played with children from a range of ages. Younger children learned the rules of the games from the older kids. When the younger children became the older kids, they passed their knowledge to the new young children. Children played together to have fun. If you didn’t learn how to get along with the other kids, you were on your own. Today’s children are kept largely in groups of a similar age – especially with our nuclear families, childcare and preschools. Even when the children play, a lot of activities can be done in isolation and with minimal interaction with other children. What is Tools of the Mind? learn to regulate their own behaviors, as well as the behaviors of their friends, as they enact increasingly more complex scenarios in their imaginary play in preschool and in learning activities in kindergarten. Vygotsky believed that play was a very important medium for children to learn, however, the play that Vygotsky referred to was very specific – make-believe play. The goal of Tools of the Mind is to help young children shift their play from immature play to mature play. What is Mature Extended Play Exactly? 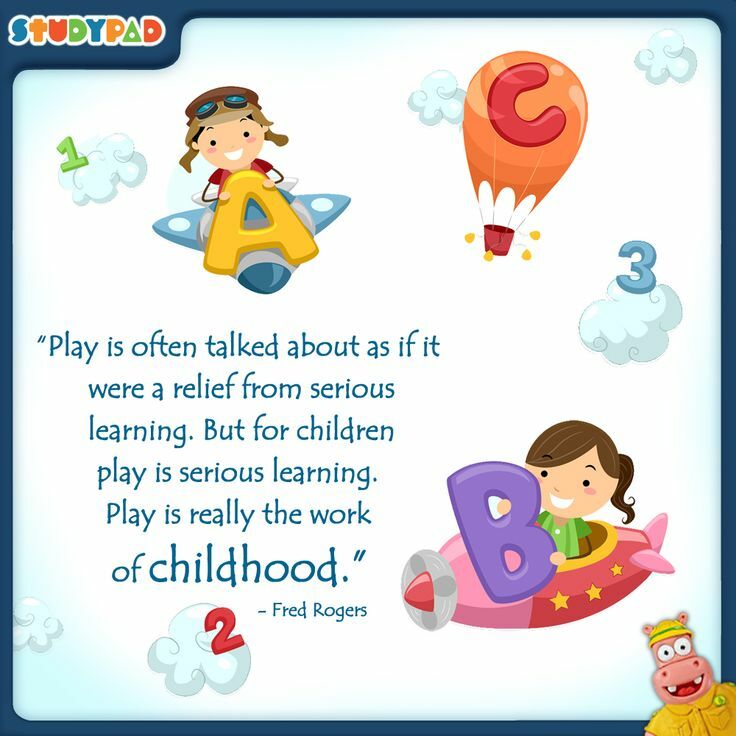 Play Plans – an instructional strategy used to promote the development of self-regulation. Children plan their play every day, right before they start playing in the centers. 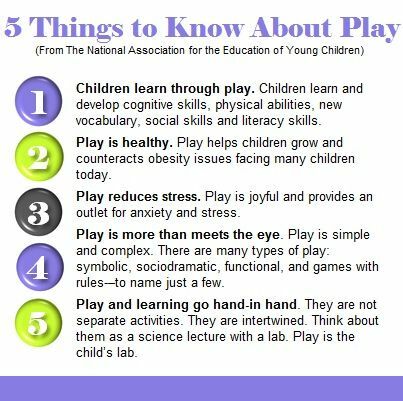 A Play Plan usually describes the role and the actions a child will engage in during the first few minutes of play. This initial plan helps children to act purposefully. Scaffolded Writing – children first plan what they want to write, draw it, and then write it, with the help of multiple mediators, such as lines drawn to represent words. The form that the writing takes (scribbles, lines, initial letter sounds, estimated/invented spelling, word patterns) depends on where children are in their writing development. 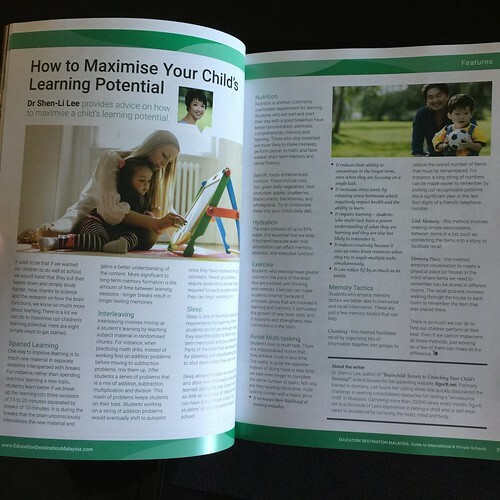 There is also information for parents on how they can help support their children develop mind tools at home. How Effective is Tools of the Mind? BrillKids Little Reader Thai Curriculum Pack Out Now! 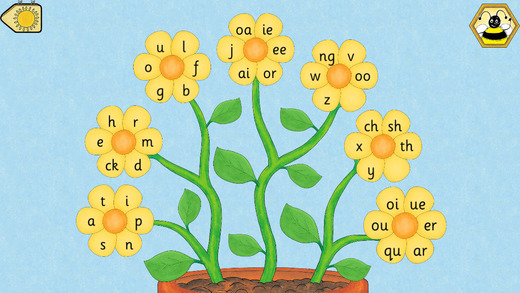 There are so many benefits to learning a second language, one of which is the development of self-control – one of the best predictors of future success. Now you can help your child learn Thai with the newly released Little Reader Thai Curriculum Pack! Little Reader Thai Curriculum Pack is a complete 12-month curriculum specially designed to teach your child to read in Thai! Lessons are fully customisable and progress from single words all the way to complete stories. The patented phonics system helps your child learn how to decode the written language intuitively so that they will have a solid foundation for expanding their Thai knowledge in future. N.B. please note that the Little Reader Thai Curriculum Pack requires the Little Reader software (at least version 3.3.1500 or newer) to run it. The software is not included. Special Introductory Offer! Limited Time Only! From now until 4 February 2014, you can purchase the Thai Curriculum Pack at 10% off. To get an additional 10% off, use coupon code: BKAFF36716. This coupon code also applies to any other purchase of BrillKids products online. Every child, by instinct, wants to learn and grow to the limit of his abilities. In the first six years of life he does this by imitating those around him. To support this need we must carefully prepare the physical and social environment, provide tools that enable the child to work to create himself, watch for those first tentative moments of concentration, and get out of the way, following the child as his path unfolds. During the first six years of life, the brain absorbs a tremendous amount of information: three times more than during the entire life. 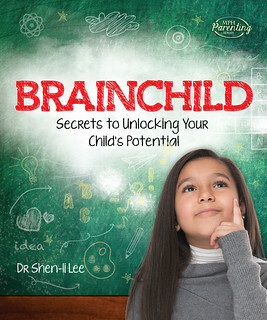 By the age of six, the formation of a human’s brain is almost complete in its development. The information children learn by the age of six will serve as a basis for knowledge and wisdom which will increase during the rest of their life. Ability to acquire new facts is in inverse proportion to age: a one-year-old child learns more easily than a seven-year old. A fiver year old learns more easily than a six year old, a four year old learns more easily than a five year old, a three year old learns more easily than a four year old, a two year old learns more easily than a three year old, and a one year old learns more easily than a two year old, and learning is easiest of all for babies (below one). All this is reinforced by the knowledge that a child’s bilingual ability begins to fade after the age of 1. And to provide our children with the richness in their environment to provide these learning opportunities is easy. Every parent has the capability to do it. It is about reading to our children, playing with them, talking to them, and giving them opportunities in their everyday life for learning. 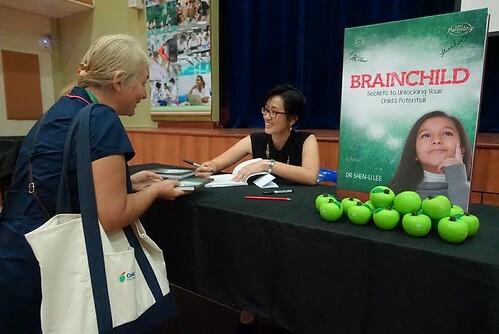 This is the reason why babies as young as six months are encouraged to attend right brain education classes. Although they are unable to perform the tasks themselves, they are learning by observing their parents performing the tasks. However, since it can be months before a child is able to express what he has learned, we are often unaware of the knowledge that is building up until he is capable of expressing it later. Susan du Plessis refers to this difference as active and passive knowledge. It is similar to how we are often able to understand more of a foreign language than we are able to speak. This unspoken understanding is passive knowledge. Once we are able to speak it, it becomes active knowledge. In order to shift it from passive to active knowledge, sufficient repetition is required. This is also the reason why it is important who you have caring for your child in those early formative years. They say that parents are the best first teachers for their children. Who could be more invested in a child than the parent? Unfortunately, some parents have to work for various reasons. 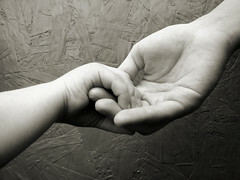 In such cases, who your child’s primary caregiver is becomes even more important. If you can’t be the one looking after your child, find someone who will talk to you child, sing to your child, play with your child and provide all the necessary interaction to encourage brain development. Mothers who don’t talk to their babies much raise children who are late talkers. Similarly, caregivers who don’t interact much with the babies they care for will raise children who are slower developers. But most important of all, babies need love to learn. 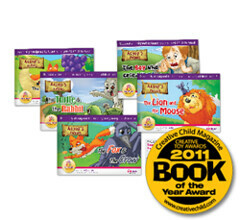 Little Reader Wins 2011 Creative Child Awards! 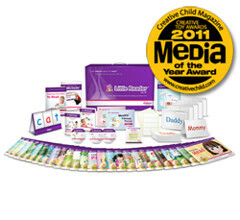 BrillKids won two awards at the 2011 Creative Child Awards for their products Little Reader Deluxe and Aesop’s Fables Volume 1. To celebrate, they are giving away a very special 10% discount coupon that is valid until 2 July 2011. To use this discount code, simply go to the BrillKids Online Store and add the items you want to purchase, then in the shopping cart page, type or copy-paste BKCreative10 in the “Discount Code” box. When you’re done, click on “Apply Coupon Codes” and you should see your purchase price adjust to reflect the 10% discount. This special discount can be applied to only one product from the BrillKids Online Store. The discount code cannot be used together with other BrillKids discount coupons and does not cover any applicable shipping fees.